Happy Mail alert! Last week, I opened the mail box to find the latest issue of HandCrafted magazine, a publication of Stampington & Company. 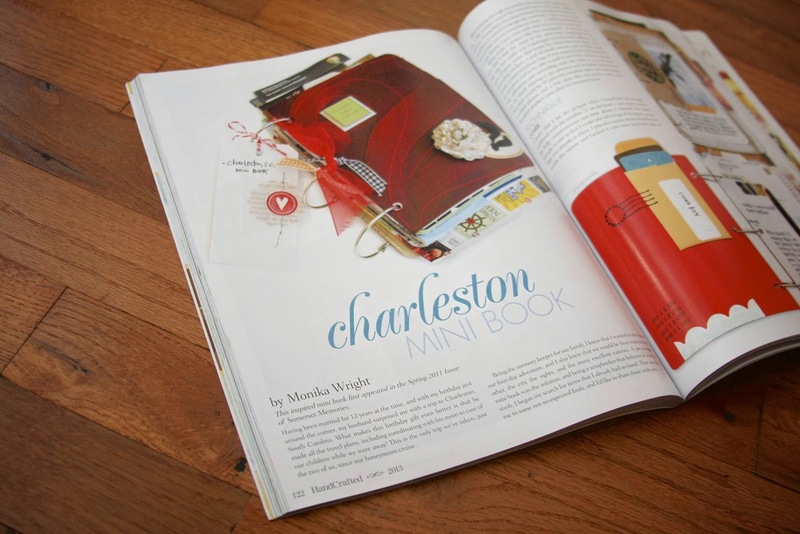 Without me knowing it, they decided to rerun the feature of my Charleston mini book. Very exciting news, then and now! Read more about our trip to Charleston in this post which has links to four posts, detailing each of the days we spent in Charleston. If you're not able to pick up your own copy of HandCrafted magazine, where I share the background details and little tie bits about our journey and the album, you can purchase a copy here. I loved your Charleston mini book, and one day I hope to visit there! I tried to comment on a previous post of yours,but found I couldn't until I joined Google Plus.